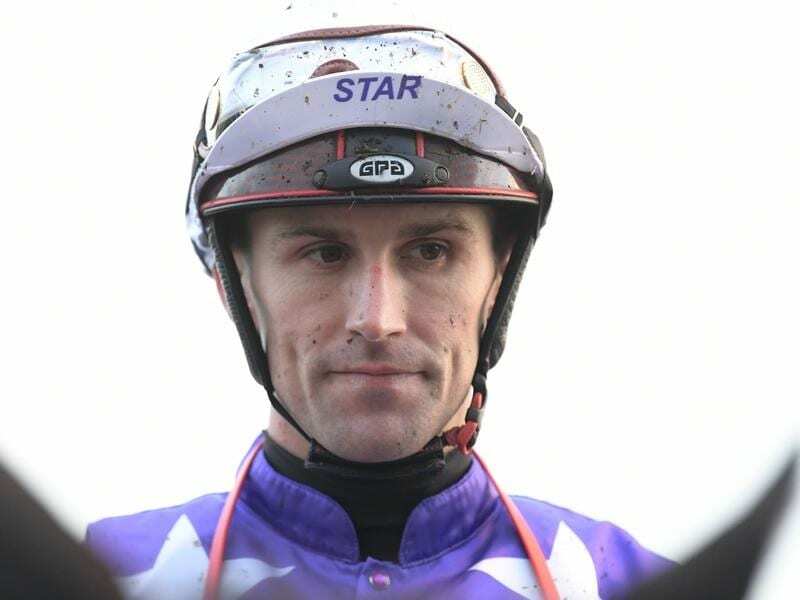 The Australian Jockeys’ Association issued a statement on Thursday on behalf of the jockey and his family detailing the extent of the injuries Angland suffered on November 25 when his mount knuckled at the start of a race and he was speared into the ground. He underwent surgery at the Prince Of Wales Hospital in Hong Kong and remained in intensive care for two weeks before being flown home to Sydney. “Since returning to Australia, Tye has undergone a second surgery for his injuries,” the statement said. “Tye currently remains in Royal North Shore Hospital, Sydney. “As a result of the fall, Tye had a fracture and dislocation of the spine as well as a spinal cord injury. The spine has been stabilised and realigned. “Tye’s doctors advise the long-term prognosis for injuries of this nature are always hard to diagnose in the early stages. However, there remains a likelihood of Tye’s outcome being quadriplegic. “His wife Erin, and the couple’s three children Alexis, Addison and Rylan have been overwhelmed by the support they have received and wish to say thank you to everyone who has reached out to them. Angland is a multiple Group One-winning jockey whose biggest wins include the 2017 Victoria Derby on Ace High and the TJ Smith Stakes on Trapeze Artist in the autumn.